Dental staining can be a real problem in today's esthetic world. Sometimes it is extrinsic, as in coffee stains, or staining from smoking. This can be polished off. 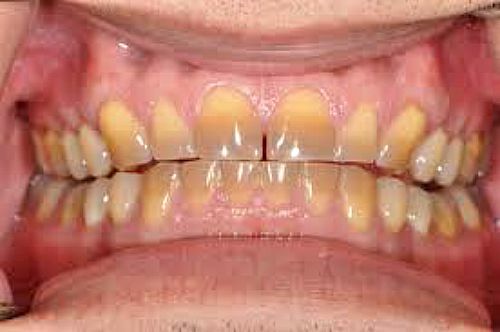 Other times, it is intrinsic, as in tetracycline-stained teeth. When this is the case, there are only three solutions: bleaching, veneers or full crowns. If you have dental staining, or unesthetic teeth, give us a call. We will gladly discuss the options, and give you back your beautiful, white smile!